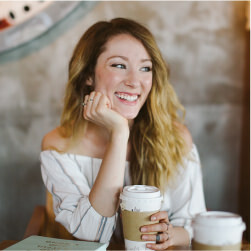 Madison Hedlund | Yellow Co.
Madison is a life coach and speaker who helps women own their story, find their power, and come alive to their most vibrant, confident selves. Known for her soulful spirit both online and in person, she brings authenticity, power, and creativity into all she does. Whether working one on one with clients or speaking to a large group, it’s Madison’s deepest desire to see women step up to their very best and truly come alive.